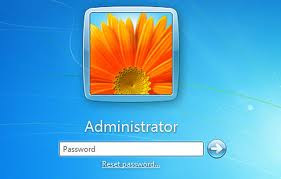 Home / Unlabelled / Hack OR Delete Administrator Password Of Computer without Software. Hack OR Delete Administrator Password Of Computer without Software. Many times we We forget our own passwords and some times we need to use admin privileges on others Computer we usually face a problem of Admin password , so today my post is regarding that how you can delete the password without any software. account which will be blank (i.e No password). This solution works only if your hard drives FAT kind. *Put your hard disk of your computer in any other PC . *Boot that computer and use your hard disk as a secondary hard disk(Don't boot as primary hard disk). *Then open that drive in which the victim’s window(or your window) is installed. *Now remove hard disk and put in your computer.